I have to admit, as much as I like the “Channel your inner goddess”-spirit, I find it hard to establish in my everyday life. Somewhere between the continuous lack of sleep, changing diapers and the fact that I spend most of my day dressed in a two piece that would easily pass as blue pyjama (but isn’t nearly as comfortable of course), I lost my inner deity. Now there are several ways to reconnect with your spiritual self, and I by no means want to touch them here on this blog. They are important, personal and full of deep meaning. 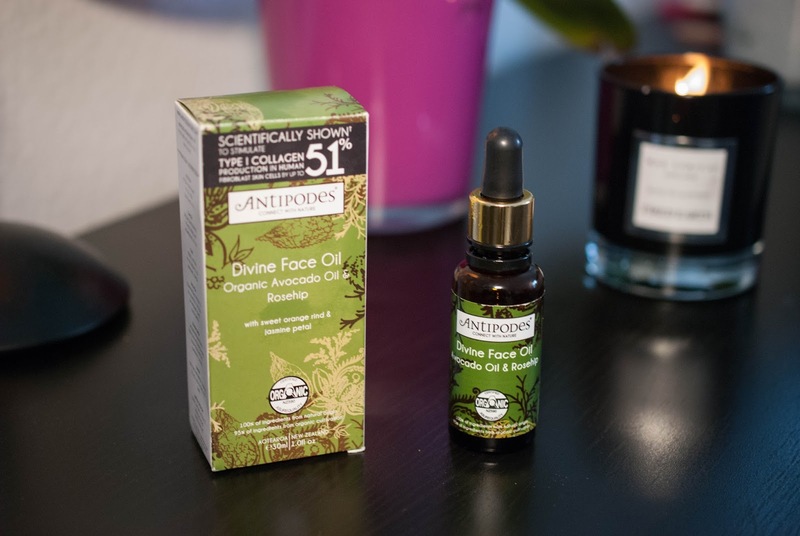 But as we are on a beauty blog, let´s focus on the superficial things like Antipodes Divine Face Oil. I have stated several times before that my evening skincare routine is the perfect way to unwind after a long and hectic day. The scents, the textures, the fact that I am on my own, in a bathroom, door closed… Pure bliss! One of my recent additions are a bunch of Antipodes products that will make their appearance on this blog now after some serious testing. 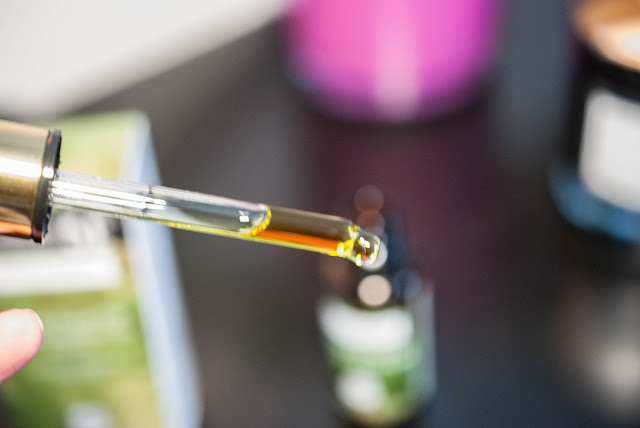 Give a lift to tired, stressed and sun-damaged skin with this nutrient rich face oil that helps deliver the antioxidants and nourishment essential for fresh, healthy skin. Superior collagen-boosting action of avocado oil helps reduce the appearance of lines, age spots and scars. Perfect as an essential daily nutrient treatment for skin. Scientifically shown to stimulate Type I collagen production in human fibroblast skin cells by up to 51%. Suitable for most skin conditions, especially dry and combination. One bottle contains 30 ml and retails for 29 € here. I have been using it every other night for three months straight and still have more than half of it left, so I estimate it will last you around four months if used once daily. The packaging is the typical Antipodes one, featuring a dark glass bottle and a pipette. While this may be a little inconvenient for traveling, I really love the pipette and the laboratory feeling I get when using it. Two drops of this, three drops of that… Mixing the perfect potion. The oil looks just like you would expect and oil to look and smells like nuts. Important things first: It doesn’t leave an oily film on my skin. I usually apply it around 8 pm and it has sunk in completely until bedtime, and in case you don’t apply it right before you lay down your pillows should be safe, too. The preservatives are all safe for use in organic skincare, and the essential oil fragrances shouldn’t bother you if your skin isn’t overly sensitive, so I relabeled it from “Unfavorable” to “Other”. You have to see for yourself if they cause irritation on your skin. It is nutrient-rich and provides you with a lot of antioxidants, it is suitable for dry and combination skin, and I would even go that far and recommend it even for oily skinned girls. The one thing that slightly annoys me is the claim of “up to 51% stimulation of Typ 1 Collagen production”. I don’t call BS on it, don’t get me wrong, but it refers to in vitro experiments that can’t easily be transferred to living skin. Apart from that, the key words are “up to”. That means it is 51% maximum or less. Or translated: It may improve Collagen production significantly in your skin. Or not. I love the effect it has on my skin and I feel it is well worth it´s money. Of course there are other oils out there I want to try, but this one has owned a place in my cabinet for the time to come. Anyone concerned about aging and its prevention. Mostly organic ingredients, great for all skintypes and jam packed with nutrients. And when have you last connected with your inner goddess?